Here are some family friendly places to vacation if you're looking for something within a 2-5 hour drive of central New Jersey. Head to the mountains to cool off or to engage in outdoor activities. Go to an all inclusive resort if you want everything in one central place. Visit lovely small towns to hit museums and local attractions. Woodloch is the best All Inclusive Family Resort in the Poconos area. Unique activities, tasty meals, and nightly entertainment with Broadway style shows. Indoor & outdoor pools, bumper boats, rock climbing, kayaking, go-karts, archery, row boats, playgrounds, tennis, tubing, hiking, horseback riding, fishing, and much more. The fun just goes on. Discover Pennsylvania Dutch Country and learn about the Amish way of life in Lancaster PA. Take a Amish Homestead tour, Farm tour or even go on a buggy ride. Keep the kids busy at nearby amusement parks: Dutch Wonderland (good for kids 12 & under) or Hersheypark and all things chocolate. 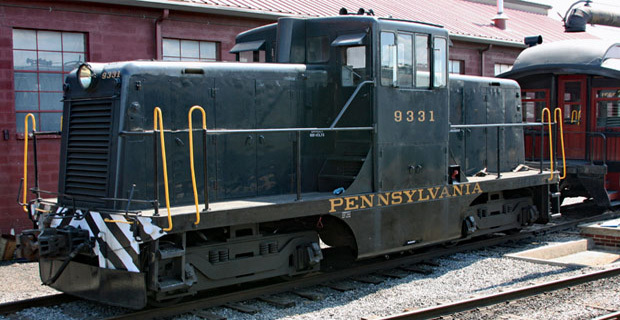 Hop aboard a locomotive train at Strasburg Rail Road for a ride through the countryside. Visit the Pennsylvania Renaissance Faire for a medieval experience, weekends from August to October. Get lost in Cherry Crest Adventure Farms 5 acre Amazing Maize Maze. For some indoor fun, there is the Hands-on House Children's Museum. Learn all about ice cream at the Turkey Hill Experience. Ride the historic New Hope & Ivyland Railroad and see Bucks County scenery, perfect for all ages. Burn off some energy at the Bucks County Children's Museum. Go see Elmo, Bert, Ernie and Big Bird at Langhorne's Sesame Place. Go biking or walking along the Delaware Trail, part of the Delaware Canal State Park. Bucks County is known for covered bridges. Out of 12, you can drive over 10 of them. For something unique, head to Ringing State Park where you can strike boulders and hear them ring like bells. Nature is waiting for you at Delaware Water Gap National Recreation Area: take a walk along Dingmans Falls Boardwalk to view Dingmans Falls. Outdoor sports activities: boating, white water rafting, canoeing, swimming, and fishing. Also nearby is the Pocono Snake and Animal Farm. Head out to visit Bushkill Falls, the Niagara of Pennsylvania. Many waterparks: Camelbeach Mountain Waterpark, Kalahari, Great Wolf Lodge, Aquatopia Indoor Waterpark. Great all inclusive family resort in Hudson Valley New York. Rocking Horse Ranch is filled with fun horse adventures. Big Splash Indoor Waterpark heated to 85 degrees year round. Outdoor watersports, mountain tubing, bungee jumping, rock climbing, mini golf, tennis, shuffleboard, volleyball, outdoor playgrounds, arcade, archery, and more. Kid friendly live shows and entertainment. All inclusive dining. Picturesque Lake George is surrounded by lovely mountain peaks. A fantastic family vacation destination - fun for all ages. Play on the various beaches, take a boat cruise around the lake, go to Six Flags The Great Escape & Splashwater Kingdom, or explore nature trails along The Warren County Bikeway on bicycles. Go play a round of mini-golf, hang out at the arcades, learn about history at the Fort William Henry Museum, fish off a boat or pier, or eat at the A&W Root Beer Drive In for burgers and root beer. Numerous lodging accommodations that fit any budget. Side trip to Natural Stone Bridge and Caves Park in Pottersville, NY is sure to please the kids. Head to Lake Placid , the site of the 1980 Olympics Winter games and take a tour of the Olympic venues. Don't forget to check out the Miracle on Ice Arena or the Lake Placid Olympics Museum. Take a ride on a bobsled, if you dare! Lake Placid and Mirror Lake are both breathtaking. Lots of nature activities, hiking, walking, biking, horseback riding, boating, canoeing, rafting, tubing and much more! Spend some family time at the Lake Placid Public Beach. Check out the village and the downtown area, filled with restaurants and shops. See beautiful waterfalls at neaby High Falls Gorge, a 30 minute round trip walk. There are 11 lakes in the Fingerlakes region of New York. Many state parks to explore. See spectacular waterfalls at Watkins Glen State Park. Go fishing or boating at Cayuga Lake or Seneca Lake. Lots of outdoor activities for the whole family - swimming, hiking, water sports, and more. Watch amazing glass blowing at The Corning Museum of Glass. Go visit the Rochester Museum and Science Center. Visit Newport for a lovely short getaway. Go on a 3.5 mile Cliff walk where one side are mansions and the other side is the ocean. Take mansion tours and see how wealthy families once lived. Check out Fort Adams State Park to see views of Newport Harbor and Narragansett Bay. For kids who like tennis, bring them to visit The International Tennis Hall of Fame. Go dip your toes in nearby beaches: Easton's Beach, Goosewing Beach, Fort Adams State Beach, King Park Beach. Learn about conservation at Save the Bay Exploration Center & Aquarium. Take a Lighthouse tour, harbor tour, or go sailing along the harbor. Good long weekend getaway to Mystic CT. Explore Mystic Seaport Museum, a 40 acre maritime museum with 60 historic buildings and a wooden whale ship. Discover Mystic Aquarium and see the beluga whale exhibit. Walk around historic downtown Mystic with restaurants and shops. Stop by the Mystic Museum of Art to check out works of art (free admission). Go to the Submarine Force Museum, home of the USS Nautilus - the world's first nuclear powered vessel. Have a slice of pizza at Mystic Pizza, movie of the same name.